Toyosu is Tokyo's newly established fish market, located on the eponymous island in Koto Ward, east of the city center, right on the bay. 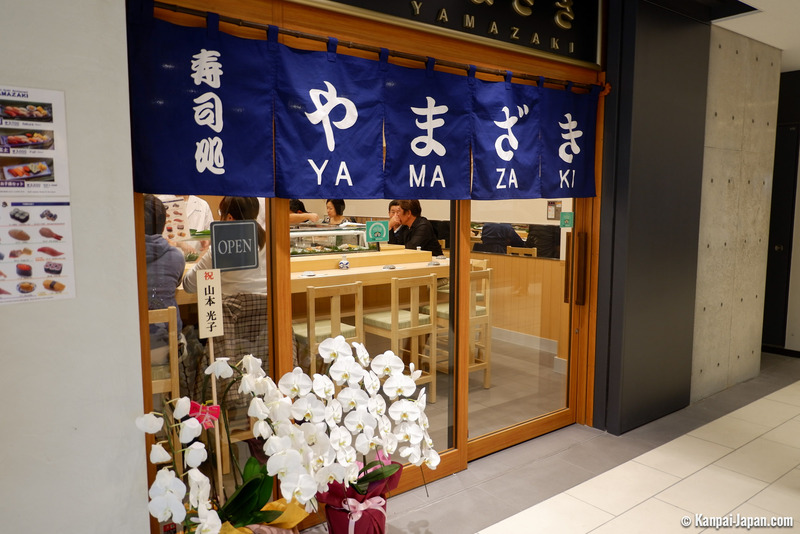 Opened on October 11th, 2018, it replaces the former Tsukiji Inner Market, closed to the public just a few days earlier. 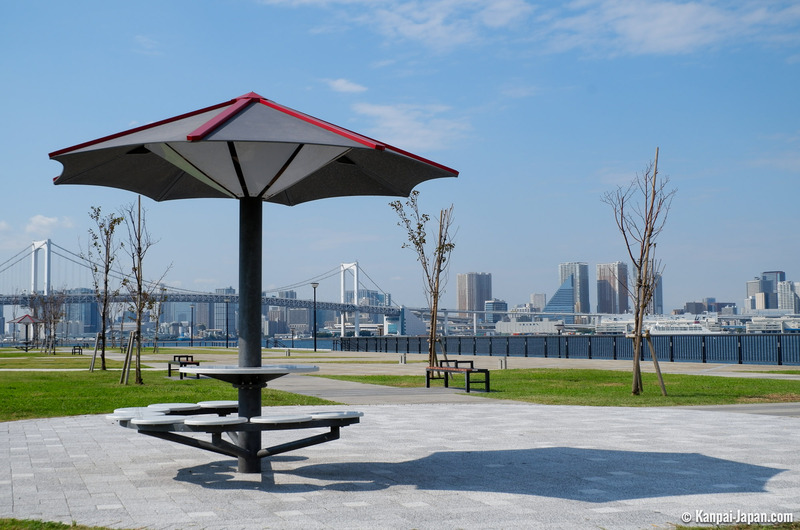 Quite modern and sanitary, Toyosu stands in total contrast to the popular and traditional atmosphere of its predecessor. The relocation of Tsukiji Market is a long story. 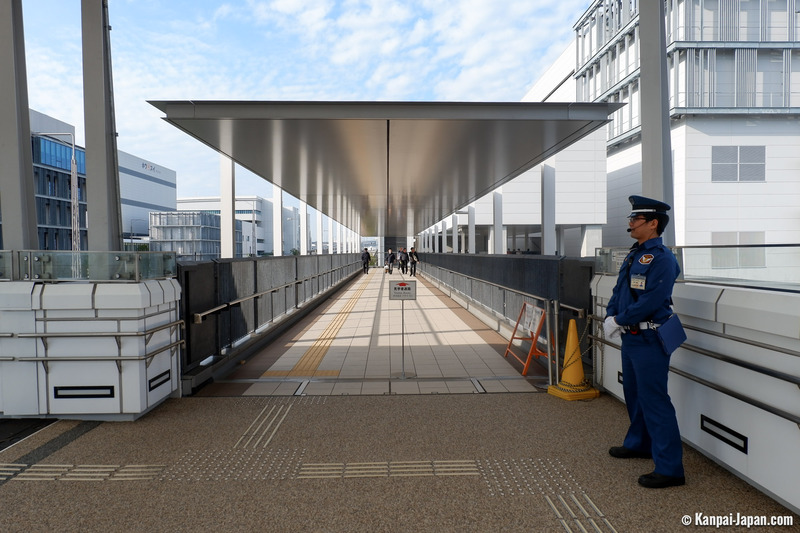 Judged unsanitary by the Tokyo Government, it should have moved to Toyosu as early as 2001. The project has been repeatedly postponed, notably due to the possible contamination of the ground beneath the new site, which was built on the remains of a former gas plant. 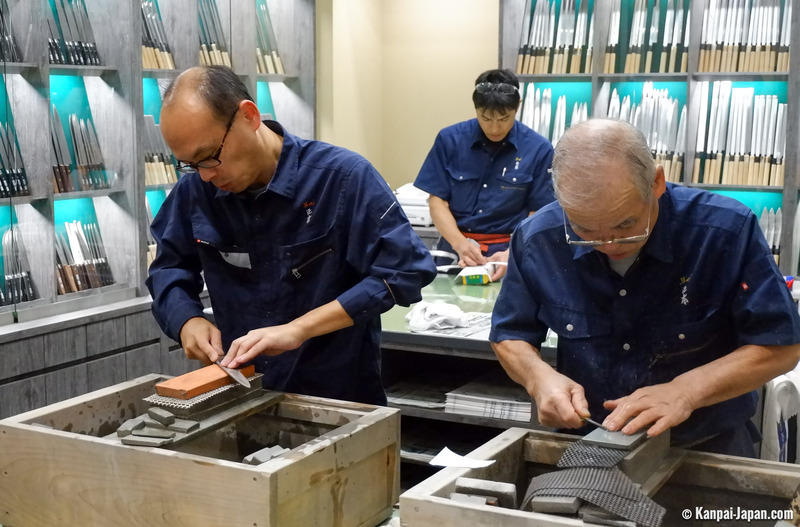 The Tokyo Metropolitan Government gave its approval in the end, but suspicions still surround the case. Most of the retailers remained opposed to this change. Some even resisted on Toyosu’s inauguration day, by selling their products in front of Tsukiji’s closed gates. A marketplace for professionals, this latter became a must-see tourist attraction. The early-morning tuna auction, made its reputation. It was pleasant to wander around in the crowded but lively atmosphere, as nearby locals and restaurants owners arrived for their daily purchases. However, despite rules of behavior and supervised schedules, this flow of people was not without its problems and sellers justifiably complained because of some tourists' disrespectful behavior. For those who knew and appreciated Tsukiji, the comparison is unavoidable and unfortunately does not favor Toyosu's brand new market. Indeed, even the qualification of market is now quite tricky as visitors are restricted to a limited area on the upper floors. Fresh fruit and vegetables market. The buildings are connected with each other by long pedestrian bridges where visitors can walk to go from one to another. Inside each of these pavilions, gray concrete corridors lead to several observation windows, doubly-glazed and soundproofed. Auctions start at 4:30 am and last from one to two hours, depending on the quality and quantity of the products arriving at the port during the night. Visitors are allowed to attend by showing up directly at the entrance, but they must observe from two plateforms on the upper floor, separated from the selling place itself. 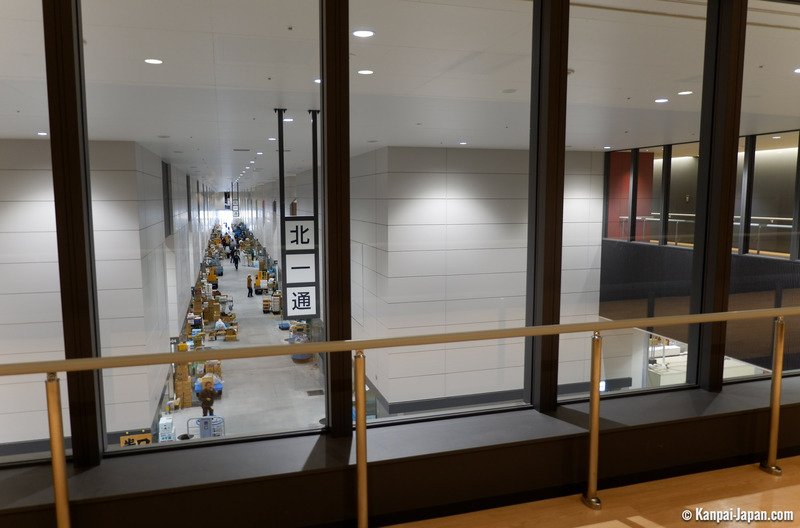 Beginning January 15th, 2019, a second observatory deck, closer to the action of the tuna auctions, located on the same floor and separated by a simple piece of glass, will be open to the public on a limited basis. The main problem at this early hour will be transportation. 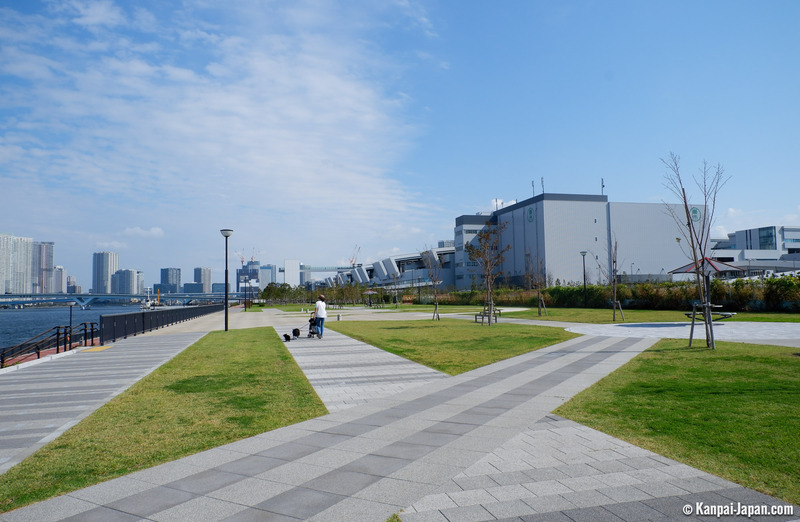 Indeed, Toyosu, outside the city center, is accessible only by subway or car. However, since trains do not run until 5 am and the traffic is therefore bottlenecked, visitors will have to hope for a long lasting sale to enjoy it. 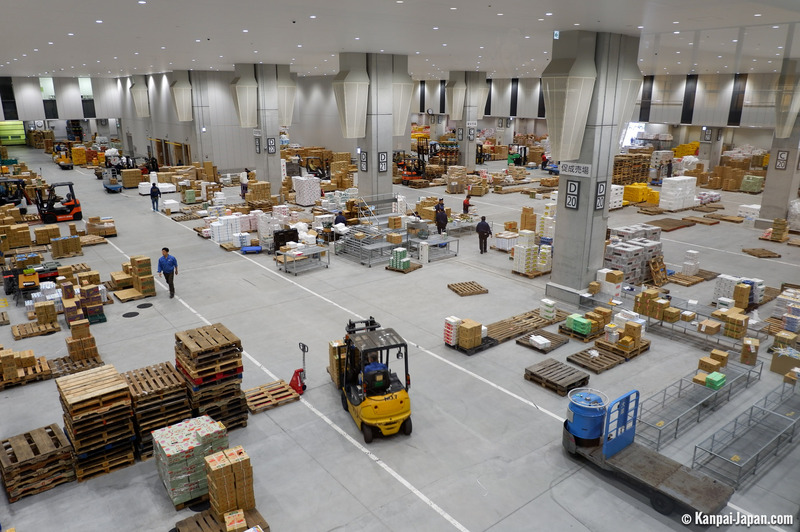 The rest of the day, it is possible to observe the warehouses but they are almost empty. Explanations in English are available about how the market operates, but these do not really succeed in retaining people’s attention. The second building devoted to wholesale businesses is off limits to the general public. 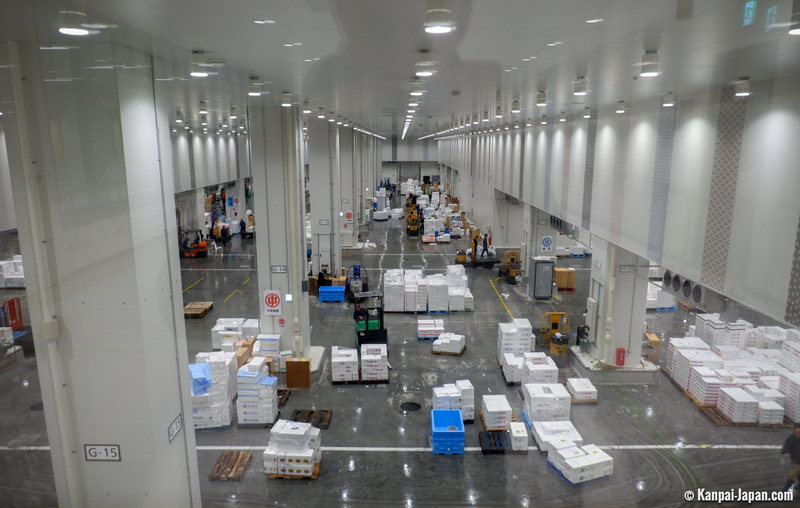 Visitors can just catch a glimpse of two or three aisles with fishmongers behind raised windows, providing limited views. Tsukiji's charming small streets stands seem to have been replaced by long rows of rectilinear retailers. 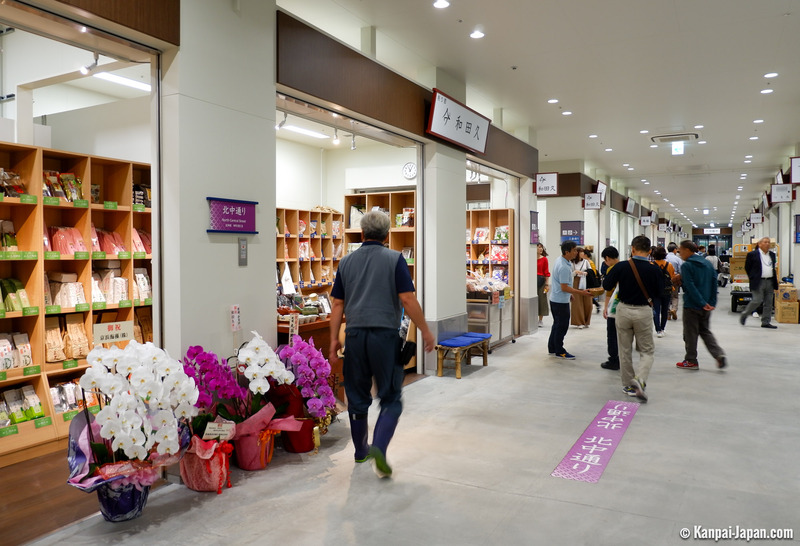 Still, on the upper floors, visitors are invited to do their souvenir shopping in a specific area called Uogashi Yokocho. There, cooking related shops sell kitchen utensils, accessories and processed food in portions. So far, this shopping alley remains too new and too clean, and the gray color all around accentuates the place's cold atmosphere. 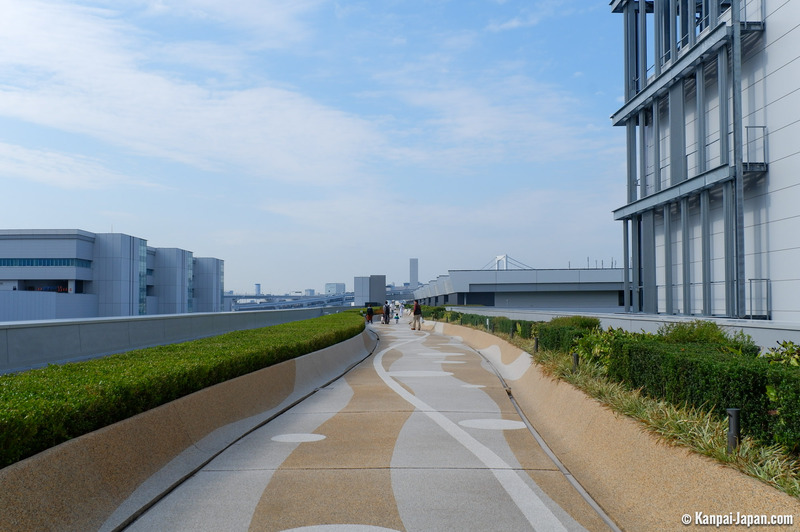 Undoubtedly, the most interesting point is the rooftop garden, which is well laid out. 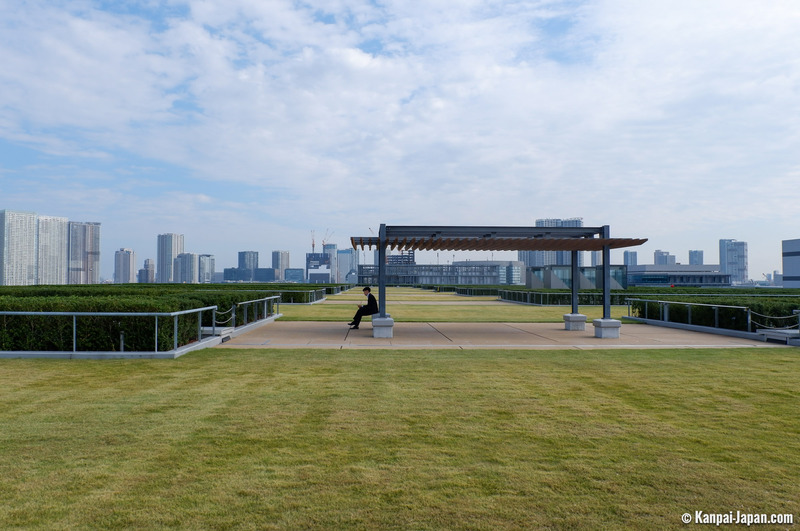 Walkers can contemplate green spaces, dominated by an urban landscape and Tokyo Bay. 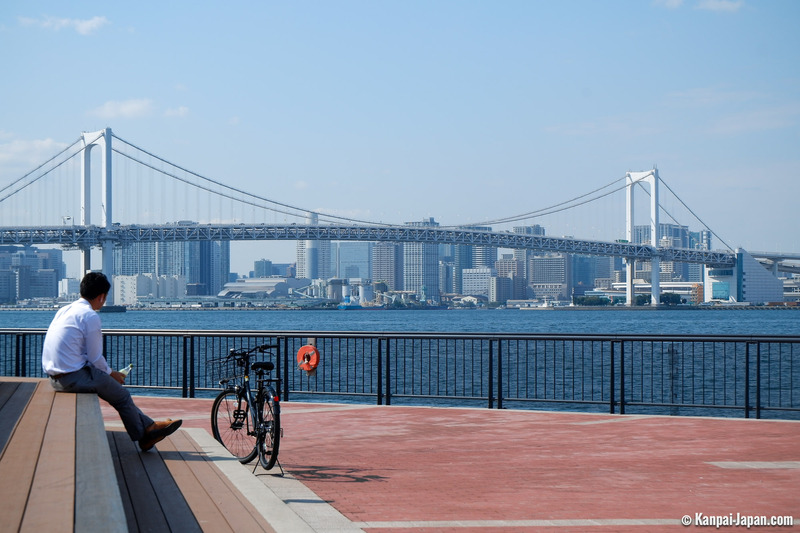 Even better, a footbridge provides access to Toyosu-Gururi Park, along the Harumi Canal, and offers a nice view of the famous Rainbow Bridge. It does not belong to the market and can therefore be visited day or night. The building dedicated to fruits and vegetables is the best of all three— an unfortunate truth for a market mostly known for its fish. Visitors can clearly see the purchase areas and the long corridors are color-coded by seasonal products. However, visitors cannot buy fruits or vegetables directly from retailers anymore. Three food courts, located at the entrance of each building, offer lunch options to satisfy visitors' desires for sashimi and sushi. High prices logically guarantee the products' exceptional freshness. This, along with waiting lines, does not deter gourmets who seem to find their way perfectly among the concrete corridors. For foreign tourists, well written and educational English explanations are perhaps the most positive aspect of the new site. 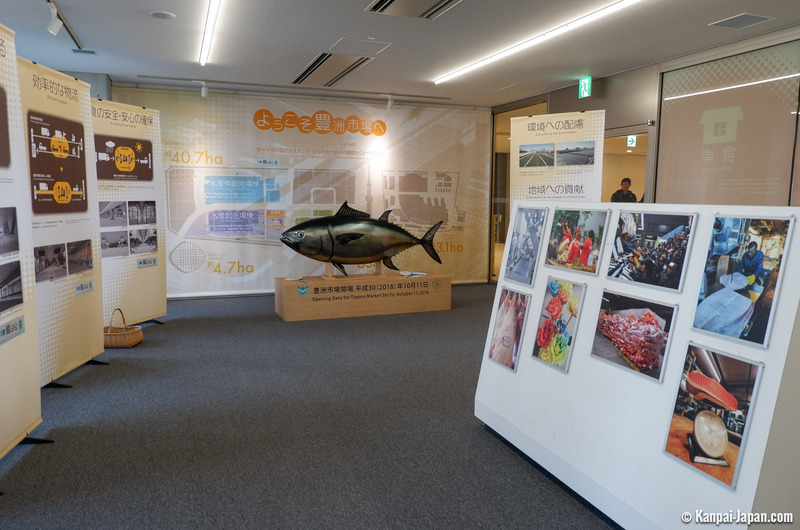 For example, visitors can learn more about the fish species consumed by Japanese people and the typical dishes with which the fish are paired. 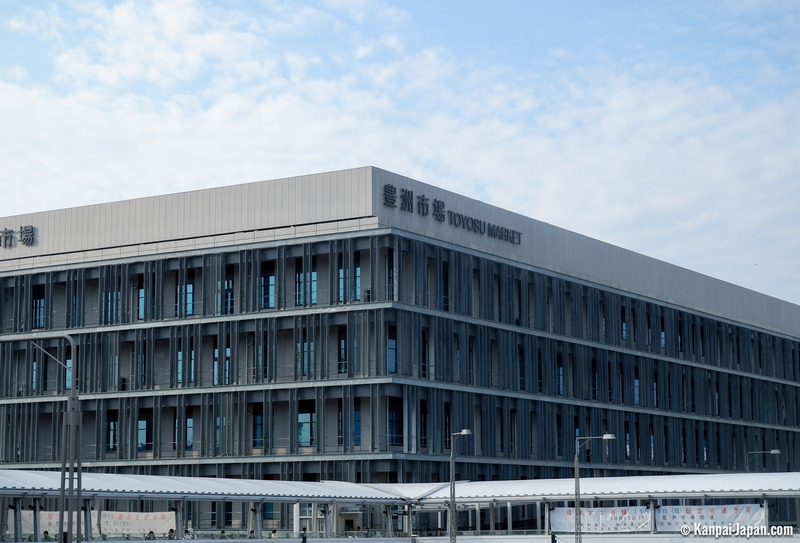 Because it is totally new, Toyosu Market is still establishing its identity and it will need some time before developing a specific atmosphere. 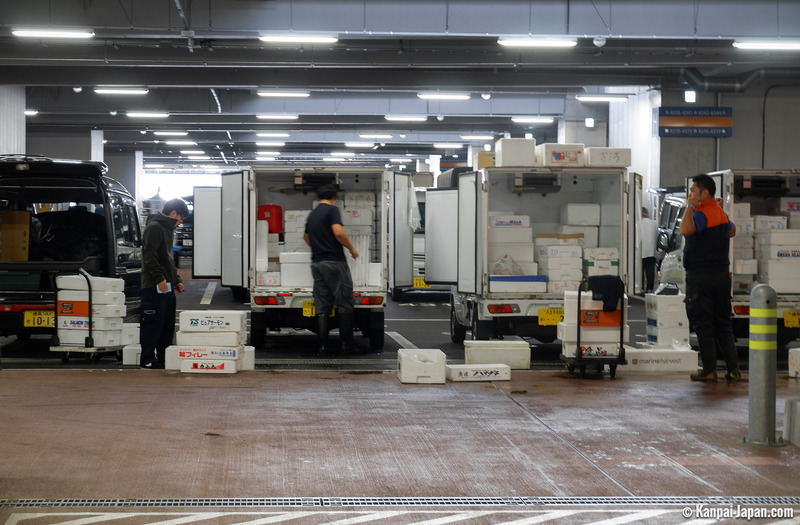 Tsukiji's melancholic visitors will probably be disappointed to neither feel nor hear the excitement of trade negotiations, but it is hoped that these aspects, though negative from a tourist's point of view, will serve to enhance the tranquility of professionals on their workplace. Even so, Tokyo has lost one of its main iconic attractions. Additional infrastructure dedicated to leisure, such as a mall and a hotel with onsen are planned in the coming years in order to energize the surroundings. 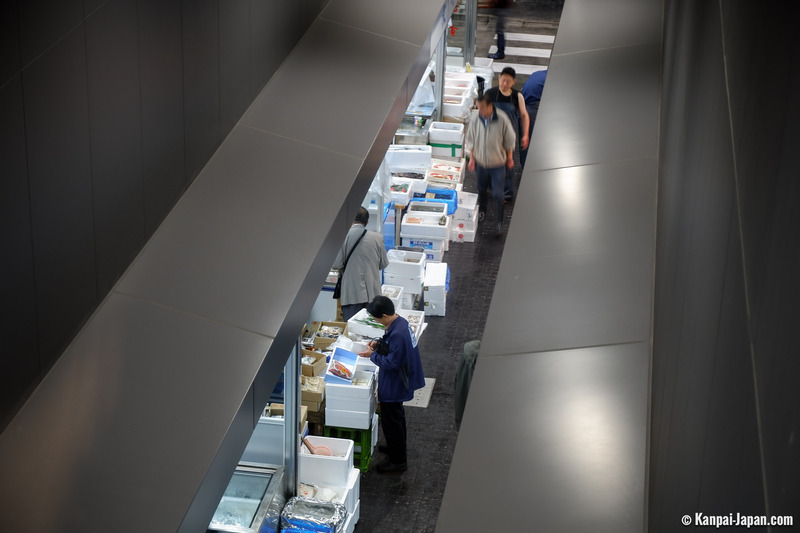 Note that Tsukiji Outer Market, still open, continues to welcome customers— but how long will this last?